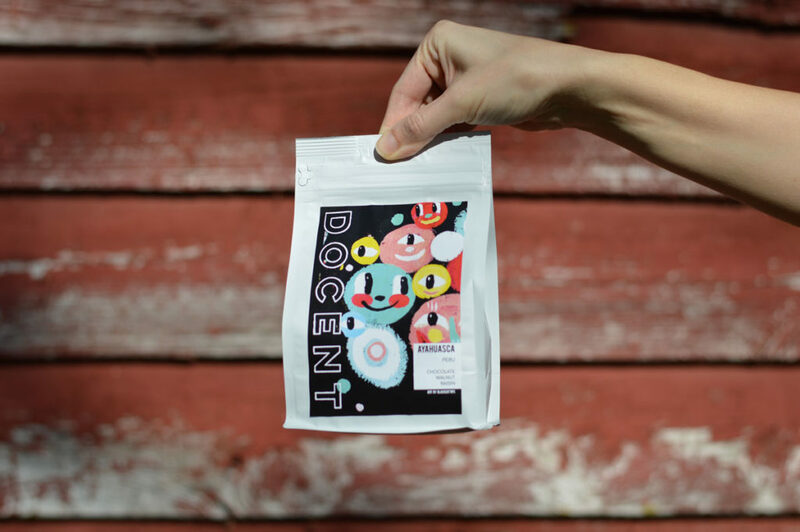 Docent Coffee, based in Atlanta, Georgia, asked me if they could use some of my smiling faces on their coffee bag. It looks really good and makes feel good to see. Life moves fast and I am reminded of this by the clock on the wall and the sun setting and the moon coming up and my baby boy getting bigger every day. I am on a river floating through time. In the meantime I will have a cup of good coffee. Sip sip… ahhhhh. 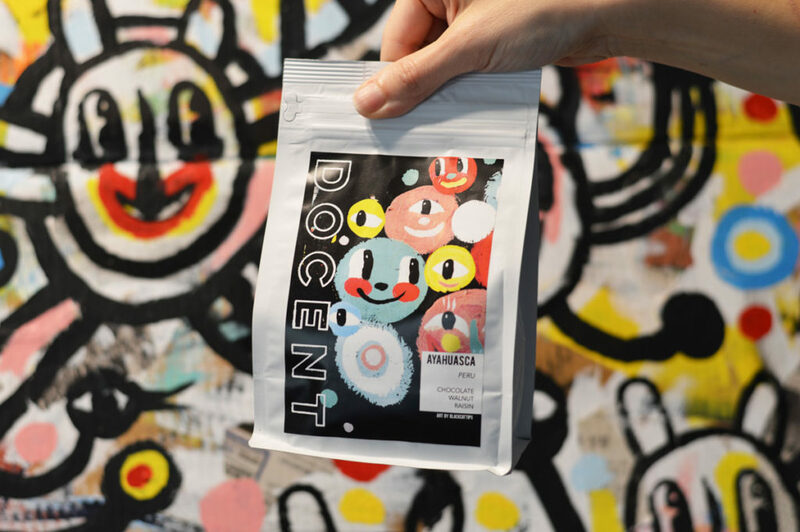 This entry was posted in Uncategorized and tagged atlanta, ayahuasca, coffee, coffee bag art, docent coffee, kyle brooks art. Bookmark the permalink.